The National Institute of Diabetes and Digestive and Kidney Disease (NIDDK) states that about 60 million to 70 million people are affected by digestive diseases, including chronic constipation, gastroesophageal reflux disease (GERD), inflammatory bowel diseases (IBD), gastrointestinal infections, irritable bowel syndrome (IBS) and peptic ulcer disease, among others. That means that there are many individuals who have to be careful about what they eat. 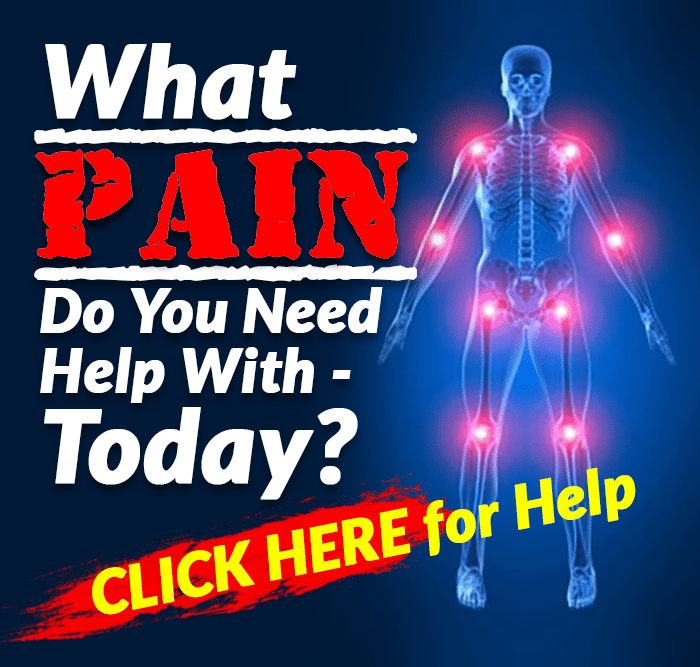 Although the human stomach was made with acids that help break down just about anything, sometimes the process can be uncomfortable and, for people with sensitive systems, it can be downright miserable. 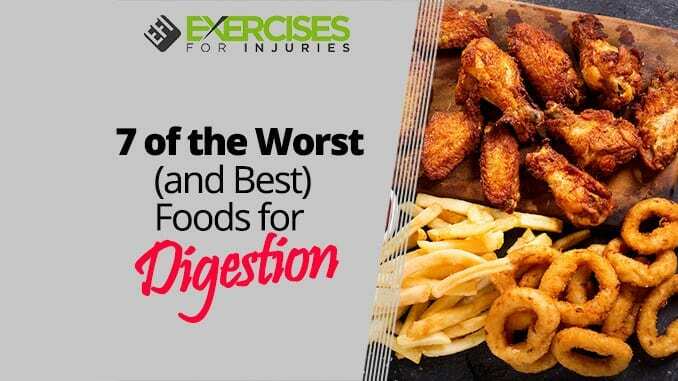 We’ve all experienced eating something that just didn’t “set right.” However, if you’re someone who regularly has to deal with cramps, gas, bloating, constipation and diarrhea, you’d be wise to avoid those foods that have a reputation for stomach upset. We’ve got seven of the biggest offenders listed here as well as seven others that can help soothe and calm an unhappy tummy. When these first came out, they were advertised as providing all the sweet taste with none of the calories. It seemed too good to be true, but soon artificial sweeteners like saccharin, sucralose, aspartame and more made their way not only into our sweetened beverages but our yogurts, snack foods, juices, cereals and more as well. Recent research, however, has shown that these sweeteners can wreak havoc on the digestive system. It seems they may change the healthy balance of bacteria in your gut — your microbiome. One animal study on saccharin showed that when subjects consumed the sweetener, they experienced a reduction in some beneficial bacteria. Other studies have suggested that when humans consume these sweeteners, they also experience changes to gut bacteria. 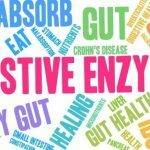 That’s bad news because upsetting the gut bacteria can not only cause digestive symptoms but may also affect other areas of health, including immune response. Your best bet: avoid artificial sweeteners altogether or choose stevia, a plant-based sweetener that so far, seems to be safer than the others. If you’ve ever gone to a so-called “greasy spoon,” you know that it can cause upset. Fat takes longer to digest than other types of food, and the stomach has to marshal more digestive acids to break it down. More acid increases the risk of discomfort and may also cause acid reflux and heartburn. As the stomach works hard to do its job, you may experience bloating, nausea and other forms of discomfort. Other symptoms may include cramps and diarrhea, particularly if your sensitive system has trouble digesting all that fat. Some of the grease and oil ultimately won’t be digested, and it will pass through into your stools. Of course, most of these foods aren’t good for your health anyway, so it’s best to avoid them most of the time. If you’ve got a sensitive stomach, you should cook most of your veggies. Raw forms are high in insoluble fiber, which is good for your health overall, but it can also cause gas, bloating and diarrhea. When you cook the vegetables, you soften the fiber in them, which makes them easier to digest. The worst offenders are cabbage, broccoli, onions, eggplant, green bell peppers, green beans and leafy greens. Carrots, cucumbers, celery and red and yellow bell peppers are lower in insoluble fiber, so you may be able to tolerate those in their raw forms. You can also make things better by never eating these raw veggies on an empty stomach and by removing the stems and peels. Dicing, mashing, chopping and grating can also help break that fiber down. Aw, this one can be a tough one. Not only is it tasty, but studies have also found that the dark forms are good for us. They contain antioxidants that contribute to several health benefits. But chocolate can be tough on your tummy. For one, it’s a diuretic, which means it may cause diarrhea and loose stools. Secondly, it seems chocolate can cause your irritable bowel syndrome (IBS) to flare up. Johns Hopkins Medicine warns that chocolate contains caffeine, which can also increase the risk of diarrhea. The sugar in the chocolate can cause symptoms of IBS as well. If you can’t bear to leave your chocolate behind, look for those options that have at least 70 percent cocoa and that are low in sugar. Any spicy food can exacerbate heartburn and GERD, including hot and spicy sauces, but chili peppers, in particular, can burn your esophagus and leave you with heartburn that lasts for hours. If you enjoy Indian or Thai food but are at risk for these types of digestive ailments, you may have already experienced the effects. Chili peppers contain a substance called capsaicin that has many health benefits. Some studies have even suggested it may help digestion. However, if you have heartburn, avoid it. Coffee can cause digestive upset for a few reasons. First, the caffeine is inflammatory, so it may exacerbate symptoms of IBD or IBS. 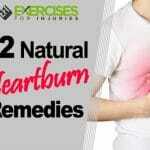 It relaxes the esophageal sphincter, which can lead to heartburn and GERD. It can also act as a diuretic, which can lead to diarrhea. Finally, coffee — even the decaffeinated kind — stimulates acid production in the stomach, which can lead to irritation and digestive issues. Studies have linked coffee to numerous health benefits, too, including increased energy, protection from dementia and a lowered risk of Parkinson’s disease. If you love your coffee, you can take a few steps that may help your stomach to tolerate it better. First, don’t drink it on an empty stomach. Sip it along with your breakfast or other meal. Second, limit it to only one cup a day. Finally, think about pairing it up with something that’s easily digestible like those foods in the next section. Alcohol can also relax the esophageal sphincter, potentially leading to heartburn and causing a flare-up of your GERD symptoms. In fact, high alcohol consumption is a risk factor for esophageal cancer. The alcohol in any drink can inflame the stomach lining, potentially damaging the mucous cells there. If you drink too much, it can cause diarrhea. Alcohol also increases acids in the stomach, which can lead to cramps and may exacerbate symptoms of IBS and IBD. You can reduce the possibility of symptoms by consuming any alcohol with food. The following foods are all healthy foods and could deserve a place on your daily or weekly menu. 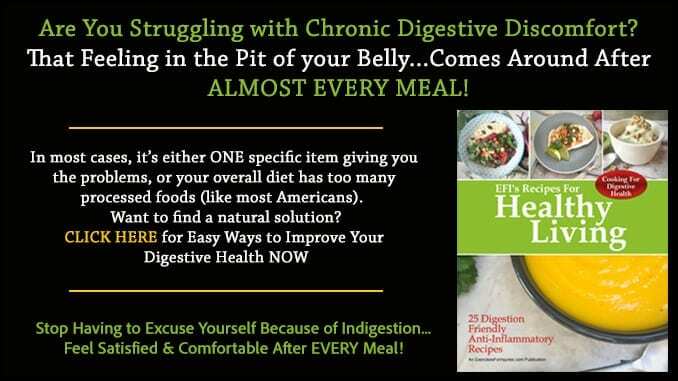 However, when your stomach is having a hard time, they can be lifesavers. Bananas are a good source of potassium, which is important for smooth digestion. They contain pectins, a type of fiber that’s digestion-friendly and that helps normalize the rate of digestion to prevent blood-sugar spikes. Finally, they contain fructooligosaccharides (FOD) that help maintain the balance of friendly bacteria in the gut. Oats contain beta-glucan, a type of soluble fiber that may not only help reduce cholesterol levels but may also increase the growth of good bacteria in the digestive tract. The key here is probiotics. Yogurt has friendly bacteria that can help keep your gut microbiome healthy. 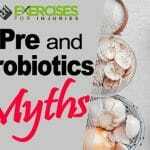 Studies have found that yogurt and other probiotic drinks and supplements can help ease digestion. In a 2007 study, researchers found that yogurt had significant anti-inflammatory effects in patients with IBD. These are a rich source of fiber, but they break down much more slowly than white potatoes, so they don’t spike blood sugar. Those with IBD or IBS who have trouble digesting white potatoes often do just fine with sweet potatoes. These are rich in fiber, which can be helpful for those suffering from constipation, but they also contain a good amount of potassium and magnesium, which help keep the smooth muscle fibers in the digestive tract moving like they should. Beets can also soften stool. If you have IBS or IBD, eat just a small serving to begin with as the fiber may cause bloating and gas. These are also rich in fiber, which can help keep your digestion moving, and they have healthy monounsaturated fats that are easily tolerated by most tummies. The potassium and magnesium prevent constipation. Avocados are even recommended to those with Crohn’s disease as being one of the tropical fruits they can eat, along with bananas and papayas. You may have had a doctor or two recommend applesauce for an upset tummy. That’s because like bananas, apples have pectin, which helps reduce symptoms like diarrhea. Pectin slows digestion and helps you feel full, longer. Just eat these in smaller portions. If you gobble down too many, you may suffer from some gas and bloating.